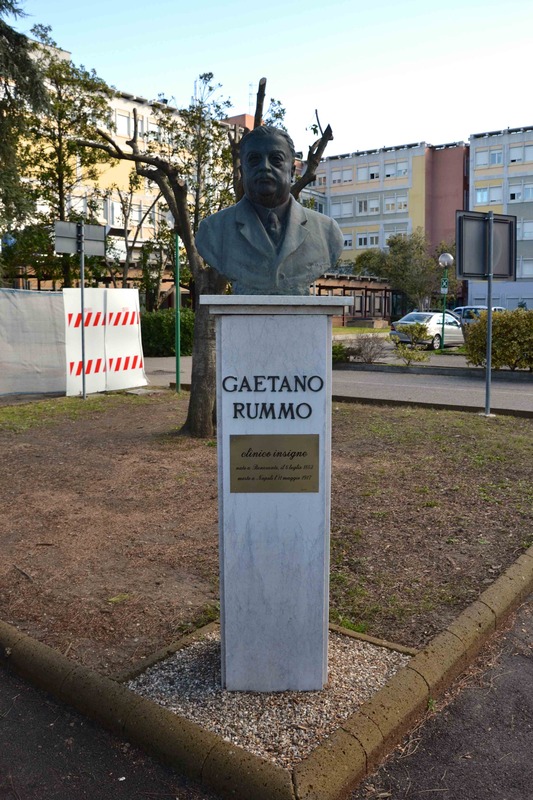 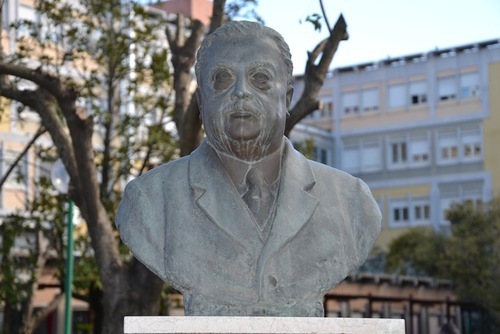 A bust of Gaetano Rummo can be seen in the park of the hospital “Azienda Ospedaliera Gaetano Rummo” in Benevento (Via dell'Angelo,1). 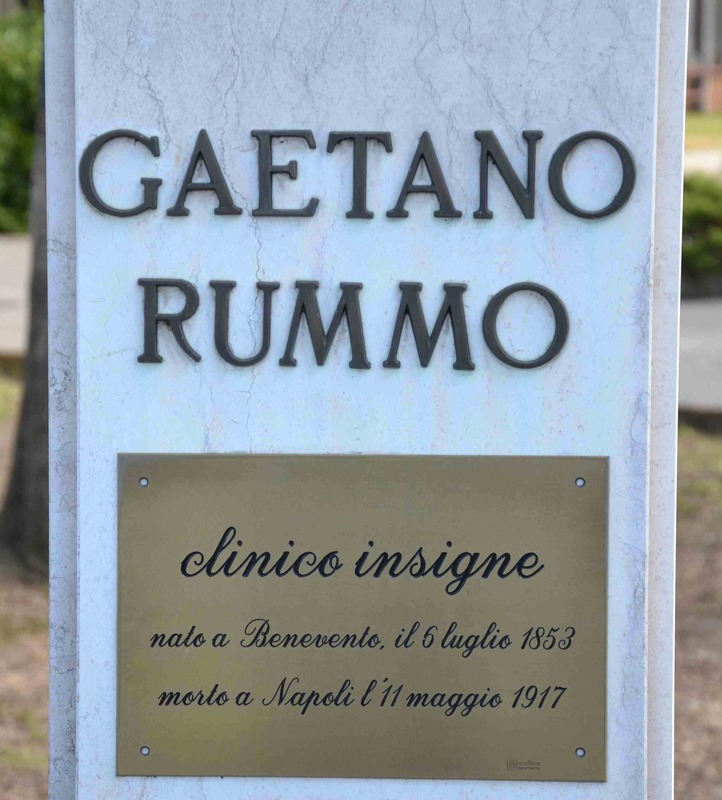 It was realized by the sculptor Pellegrini in 1950 in honour of the famous doctor and politician of Benevento who gives the name of the hospital. On the pedestal, an Italian inscription reads as follows: "GAETANO / RUMMO / CLINICO INSIGNE / NATO A BENEVENTO, IL 6 LUGLIO 1853 / MORTO A NAPOLI L'11 MAGGIO 1917"